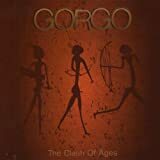 A folk-rooted band from Ukraine, GORGO combines a wide range of musical influences into a sound that is both ancient and modern simultaneously. 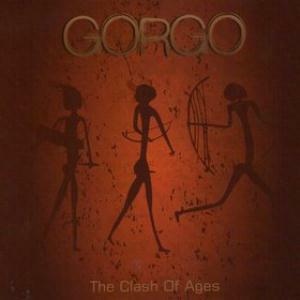 The group's debut offering is available as a digital download, while their second full-length recording was released on Musea (Parallèle) in 2012. Sell your GORGO items on eBay ! 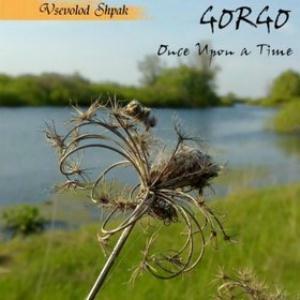 Ukrainian band GORGO's second album is like the mirror image of their first, "Once Upon a Time". Early on it is more electronic, suggesting a new philosophy, coinciding with their wider distribution on Musea. Not that this has resulted in a flood of English or Euro reviews mind you. Like the first, it's essentially all instrumental. While the title implies a tense dance between tradition and modernity, in most tracks one wins out over the other, For the first few, the old school is rarely in evidence beyond a few motifs that might be drawn from a synthesizer board or a shading on traditional instrumentation. The overall sound is dark wave/industrial, with myriad percussion and rhythm guitars hastening breathlessly to some finish line. that's a bit too far in the future. Still, the opening track is a superb MOODY BLUES on steroids romp. The latter half of the album glances backwards, like the Celtic sounding "Road to Lubetch" with its pipe-like melody, and the wonderful Klezmer-Celtic blend of the closing number "Dance Tonight Die Tomorrow". The other soft tracks like "Morning Star" are more ambient than pastoral. Initially my assessment of this disk was less favorable than the first, and it does seem even more schizophrenic, but you are bound to find at least some of it to your taste. Personally I think it would have been better to combine the mellower numbers on one album and the more frantic ones on another, but that would have effectively severed the chain between the two. Perhaps on the next release they can better blend their disparate passions, so that the clash is more within than between.